The decision to operate is often made when medical treatment has failed or has only provided a small or temporary improvement in the patient's symptoms. This does not mean that medical treatment should be put to one side because it has not cured the patient. For the timing of surgery, it is important to maximize medical treatment just before operating so that the patient's mucosa is as healthy as possible. For example, ensuring that any allergic component is fully treated will minimize the amount of "hyperreactivity" of the mucosa immediately after surgery. This will reduce the amount of exudate that forms after surgery, lessen the formation of adhesions, and help the preservation of olfactory mucosa. It will also make clear to the patient that allergy is a component of their problem. In patients with an active bacterial infection, undertreating this will result in a more bloody and difficult operation. Making an accurate diagnosis is an important part of being in a position to optimize the preoperative medical treatment. An important part in making, or con firming, a diagnosis is to gauge the patient's response to medical treatment. The diagnosis is primarily based on the patient's history, with a small but significant contribution from examination, in particular endoscopy (Fig. 3.1a, b). Radiology should be interpreted in the light of history and endoscopic findings (Fig. 3.2). Histology may have an invaluable role, but only in a minority of patients. Patients may mention a whole range of nasal symptoms; rather than becoming embroiled in all of these, it is helpful to focus on the patient's four main symptoms. Beware if pain, catarrh, or postnasal mucus is the primary symptom, as in these patients surgery is unlikely to be of benefit. Fig. 3.1a, b Subtle changes of ethmoiditis only visible on close-up endoscopic examination. Fig. 3.2 Incidental mucosal changes are found in one in three asymptomatic people. Fig. 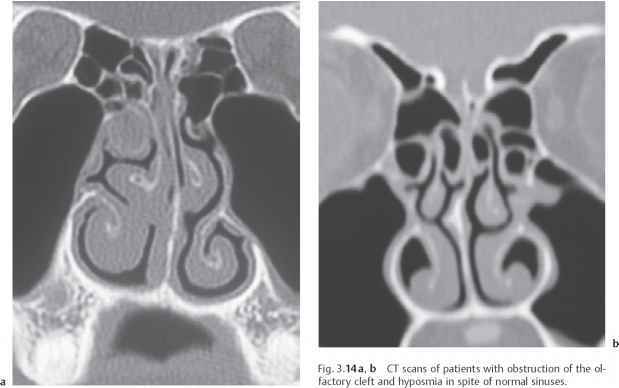 3.3 a, b The inferior turbinates and c axial MR image showing one side congested at one point in the nasal cycle. c case, it is likely that the patient has generalized swelling of the nasal mucosa from any cause that can produce bilateral rhinosinusitis. The nasal cycle happens in about 80% of patients every 3-8 hours, with one side being congested while the other is clear (Fig. 3.3a-c). Any disease that causes a generalized swelling of the intranasal lining may lead to the nasal cycle being "disclosed" so that the patient notices that one side is partially blocked. In the disease-free individual, the amount of swelling of the nasal lining that occurs in the nasal cycle is usually insufficient to cause any symptoms. If the patient has persistent unilateral nasal obstruction, the most common cause is septal deviation (Fig. 3.4). If there is any other pathology, such as a malignancy, there are often other associated symptoms in the history, such as a bloody mucoid discharge, loose teeth, diplopia, or distortion of the cheek (Fig. 3.5). Fig. 3.4 A septal deviation. Fig. 3.5 A unilateral mass producing nosebleeds—an angiofibroma. Fig. 3.6 A patient with symptoms of "blockage" but whose airflow and endoscopy were normal and responded to low-dose amitriptyline. The term "catarrh" means different things to different patients and you need to be quite direct in finding out what they may mean by this symptom. Ask whether it is anterior or posterior, thick or thin? Does it make them sniff, snort, or hawk? If it is anterior, it is due either to an overproduction of mucus, such as in allergic rhinitis, or to poorly functioning cilia, such as in an upper respiratory tract infection, when the virus or bacterial toxins paralyze the cilia (Fig. 3.7). If it is posterior, then more detective work is needed to establish whether the patient has become hyperaware of normal mucus, or whether they really have an overproduction of mucus. There are many reasons why the lining of the nose can produce more mucus; these essentially include all the causes of chronic rhinosinusitis. It is important that these problems are distinguished from habitual snorting or clearing of the throat. Often the snorer whose uvula is edematous complains of a sensation of "something" around the soft palate, and they may use the term "catarrh" to describe this (Fig. 3.8). To further complicate matters, some patients with globus pharyngeus may complain of catarrh, and they have a sensation of pooling of mucus at the level of the cri-coid cartilage. Ask the patient about the color of the mucus. Is it clear, yellow, or green, or does it vary in color? Many patients who mouthbreath when they sleep wake up with some green-stained mucus that has collected in their nasopharynx or oropharynx as mucus has dried in this area and become discolored with oropharyngeal commensals (Fig. 3.9). It is therefore important to ask patients who complain of discolored mucus whether it is just in the morning or throughout the day. It is useful to ask them to blow their nose into a handkerchief and see whether they have any discolored mucus to confirm that is the case. If they do blow out purulent mucopus into their handkerchief, it is likely that they have a chronic infective rhinosinusitis. This is relatively unusual. It is far more common for patients to have a hyper-awareness of normal postnasal mucus and through repeated clearing of their throat or snorting to have "sensitized" these areas to the cup and a half of mucus that is normally produced from the paranasal sinuses each 24 hours. Patients with allergic rhinitis or nasal polyposis often produce a lot of yellow-stained mucus, which is due to the presence of eosinophils, and this discoloration does not necessarily mean that it is infected (Fig. 3.10a, b). In the context of the large number of people with allergic rhinitis and an increase in their production of mucus, very few complain of excessive postnasal mucus for the reasons given above. Fig. 3.7 Fused cilia after a rhinovirus infection. Fig. 3.8 An edematous uvula in a patient who snorts and snores and who also has a hyperawareness of normal mucus. Fig. 3.9 A snorer who mouthbreathes and has dried, discolored mucus in the morning and pharyngitis. During the day the mucus was clear, as were the sinuses. Fig. 3.10 a Yellow stained mucus due to eosinophilia (arrow). b A cytological smear showing eosinophilia. Most people sneeze, but more than three sneezes together are almost pathognomonic of allergic rhinitis. If a patient sneezes a great deal in the morning, then you should be suspicious that they have an allergy to house dust mite, having been exposed to it over the previous few hours in their bedding (Fig. 3.11 a, b). Fig. 3.11 a A nasal salute in allergic rhinitis and b the crease over the bridge of the nose that it creates by repeated rubbing of the nose. Itchy and watery eyes are in keeping with an allergic rhinitis whether this is persistent or intermittent. Many patients complain of having a poor sense of taste, being unaware that the problem is a reduced sense of smell, which needs to be clarified (Fig. 3.12). The sense of taste can only discern salty, sweet, bitter, or sour. In order to taste or smell anything else, you require a functioning olfactory epithelium. Ask the patient whether the loss of the sense of smell is total or partial. If it is total, you should enquire whether it occurred immediately after a head injury, following an influenza-like illness, or slowly in conjunction with other nasal symptoms, such as in chronic rhinosinusitis. A history of head injury must raise suspicion that the olfactory nerves were severed where they pass through the cribriform plate. If the loss followed an influenza-like illness and is absolute, then it is likely that it is secondary to a neuropathic influenza virus (Fig. 3.13a, b). Many patients say that their loss of sense of smell is absolute, but on closer questioning they will mention that they recently did notice a smell of burning toast, say, or some perfume. This indicates that there is some functioning olfactory mucosa (Fig. 3.14a, b). In these patients, it is likely that they have some mucosal dis ease, and it is possible that their sense of smell can be improved by reversing this. A minority of patients have a distorted sense of smell and it is worth referring to a specialist text for more information on this topic (Jones and Rog, 1998). Acute rhinosinusitis following an upper respiratory tract infection is extremely painful and is usually associated with pyrexia, nasal obstruction, and rhinor-rhea, which is often purulent but not necessarily so. If the acute rhinosinusitis is in the maxillary sinus, there is terrible pain in the teeth and cheek. If it is in the frontal sinus, it is usually unilateral and associated with pain in this area and extreme sensitivity of the inferior border of the supraorbital margin (Fig. 3.15). Patients who present with this are in extreme distress, have a temperature, and are usually toxic with beads of sweat on their temples. Fig. 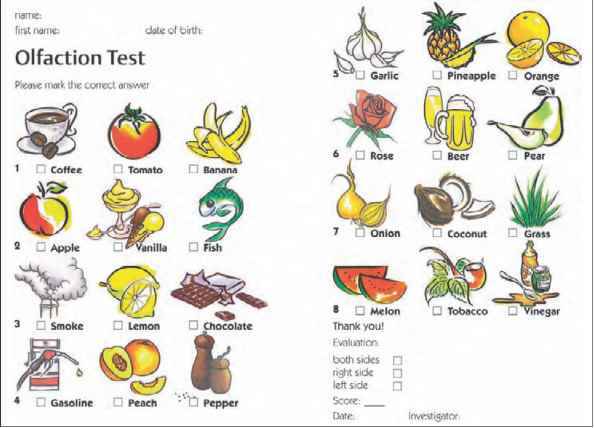 3.12 Smell screening test (patient questionnaire). Fig. 3.13 a The yellow color sometimes seen in functioning olfactory mucosa. The yellow color is more likely to be absent with anosmia after a neuropathic virus has damaged it. b Electron microscopy of olfactory mucosa. In patients with nasal polyposis, facial pain that is due to rhinosinusitis is present only in about 12% of patients, unless they have coexisting purulent disease, when it occurs in about 25% of these patients (Fig. 3.16). Crusting is a relatively uncommon symptom in patients who have not had nasal surgery. It is normally secondary to a septal perforation or a granulomatous disease, such as Wegener granulomatosis or sarcoidosis (Jennings et al., 1998; Fergie et al., 1999; Jones, 1999 b). It is a symptom that should make you take notice immediately and think of diagnoses other than allergic or infective rhinosinusitis (Fig. 3.17a, b). Blood-stained mucus is a worrying symptom and should alert the surgeon to a possible malignancy or infective process. Many patients who are taking topical nasal steroids get some intermittent "spotting" of fresh blood when they blow their nose. Fig. 3.17 a Dryness and crusting due to repeated nose picking. b The mucosal appearances seen in Wegener granulomatosis, with granulations and crusts. Facial swelling, and in particular swelling of the cheek, is unusual with infective rhinosinusitis except where accompanied by periorbital cellulitis. The most common causes of swelling of the cheek are of dental origin (Fig. 3.18). In maxillary mucoceles, tumors, or where there is a dehiscence in the wall of the maxillary sinus, acute sinusitis can cause facial swelling— but this is unusual. Infective rhinosinusitis rarely causes swelling of the cheek. Many patients with mid-facial segment pain (a form of tension-type headache of the midface) complain that their cheek is swollen when there is no abnormality to detect. This appears to be due to a sensory disturbance, and many of these patients also have hyperesthesia of the skin or soft tissues of the cheek or forehead. It appears that the threshold for somatosensory and nociceptive fibers is reduced in these patients. Does the patient have any lower respiratory tract problems? Why do we ask about this? 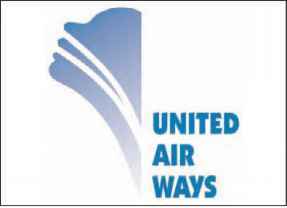 Because the upper and lower respiratory tract are in continuity and share many common features—"The United Airways" (Fig. 3.19). Do they have asthma or bronchiectasis? Childhood asthma is often associated with evidence of type 1 hypersensitivity and a tendency toward intermittent rhinitis, although persistent rhinitis is also common. There may be a history of allergens exacerbating symptoms in these patients, e.g., hay fever, morning symptoms with an allergy to house dust mite, worse with pets, etc. Fig. 3.18 A swollen cheek due to a dental infection—the most common cause. Fig. 3.20 a Purulent nasal secretions in a patient with ciliary dysmotility. b CT scan showing panrhinosinusitis in a patient with Kartagener syndrome. c Dextrocardia in Kartagener syndrome. • Eight or more ear infections within a year? 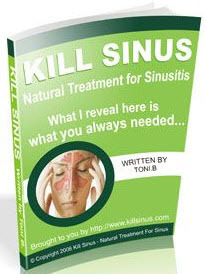 • Two or more serious sinus infections within a year? • Two or more months on antibiotics with little effect? • Two or more pneumonias within one year? • In an infant, failure to gain weight or to grow normally? • Recurrent deep skin or organ abscesses? • Persistent thrush in the mouth or elsewhere after the age of one year? • A need for intravenous antibiotics to clear infections? • Two or more deep-seated infections? • A family history of immunodeficiency? In these patients, the immune system must be investigated (Cooney and Jones, 2001). Is the Patient Systemically Well or Unwell? If the patient is systemically unwell and looks and feels ill, then consider connective-tissue disease and in particular vasculitis. Examination will provide objective information to support or cast doubt on the provisional diagnosis that may be made based on the history. Rigid nasal endos-copy is invaluable in assessing the lining of the nose and middle meatus, as well as that in the sphenoeth-moid recess (Fig. 3.21). If nasal endoscopy is normal, the surgeon should be very wary about attributing any symptoms to rhinosinusitis. If the patient says that they are going through a good period and that this is not a representative time, then it is advisable to see them when they are symptomatic to confirm that rhi-nosinusitis is the cause of their problem. The majority of patients with allergic rhinitis have mucosal changes confined to the inferior turbinate, but some will have more generalized edema and this endoscopic appearance should be interpreted in light of their symptoms. Patients with late-onset asthma and rhinitis have more generalized mucosal disease affecting the lining of their nasal airway. More research is needed to improve our understanding about the pathogenesis of rhinosinusitis associated with late-onset asthma. It is important to look for the granulations associated with Wegener granulomatosis or sarcoidosis, as surgery will not help patients with these conditions. Check that there is no displacement of the orbit, which can occur with a mucocele (Beasley and Jones, 1995 b; Muneer et al., 1998). Skin-prick tests are helpful in determining whether someone has an allergic rhinitis and in demonstrating to them that it is their response to allergens that is partially or totally responsible for their symptoms (Fig. 3.22a, b). This can help motivate a patient to comply with treatment and consider allergen avoidance. Total or specific IgE tests are less specific and sensitive but can help support a diagnosis in patients who are on antihistamines or steroids or in whom a skin-prick test is not helpful, e.g., in dermato-graphism. Fig. 3.21 Nasal endoscopy showing mucopus tracking out of the sphenoid sinus. 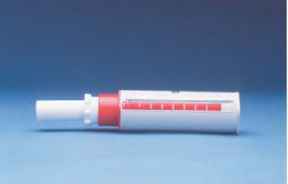 It is helpful to use a peak flow meter for both adults and children. As many as 20% of patients with allergic rhinitis have asthma, and in some patients the coexisting asthma may not have been previously diagnosed (Fig. 3.23). Fig. 3.23 A peak flow meter is useful in a rhinology clinic. Fig. 3.24 Middle meatal mucopus in a patient with AIDS. vestigations should include a full blood count and differential white cell count and total immunoglobulin levels for IgG, IgA, and IgM. The collection of any organisms found in the nasal airway is best done using the sterile protective sheath of a large intravenous cannula in order to avoid picking up the commensals from the nasal vestibule. Titers of specific IgGs for tetanus, Hib, and pneumo-coccus, and investigation of the patient's humoral response are indicated; if their IgG titers are low, patients should be vaccinated against these diseases, and the titers should then be repeated to check that they have improved. An abnormal response needs to be discussed with an immunologist. The fasting glucose should be measured and you should consider whether an HIV test might be appropriate (Fig. 3.24). If these tests are normal, but in the light of the patient's progress or response to treatment there is concern about their immune function, then further investigations should be done in consultation with an immunologist. If the patient with purulent rhinosinusitis is not responding to the appropriate antibiotics, then the possibility of an immune deficiency, ciliary dysmotil-ity, or an atypical infection, e.g., aspergillosis, should be considered. In general, a trial of medical treatment is almost always justified, not only for therapeutic reasons but in order to help in making a diagnosis. 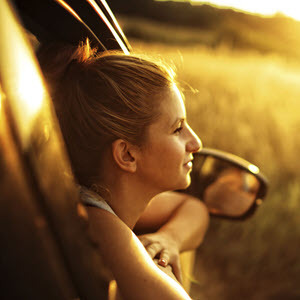 It is important to get the nasal lining as healthy as medical treatment will allow. This will not only help patients' symptoms but also minimize inflammation if surgery is required and help access and reduce intraoperative bleeding. Postoperatively, optimizing medical treatment will help maximize the benefit of any surgery. For example, opening the olfactory cleft may help improve the patient's sense of smell but it will be even better if there is no mucosal edema due to allergic rhinitis or any dryness and crusting from local staphylococcal infection and mucus stagnation. The management of allergic rhinitis centers on allergen avoidance and compliance in the regular use of topical nasal steroids, which should be tried for at least 6 weeks in the first instance (Fig. 3.25). This applies to the symptom of nasal obstruction, although other symptoms such as itchy eyes and sneezing may also be helped in this way. If the patient's primary symptoms are sneezing, itchy eyes, and clear rhinorrhea, then a nonsedative antihistamine can be given on its own or in conjunction with a topical nasal steroid for moderate or severe symptoms. Topical sodium cromoglycate works well for the symptoms of itchy eyes, but it is less effective intranasally. Topical antihistamines help some patients with sneezing and rhinorrhea, but they are not very helpful against symptoms of nasal obstruction. Ipratropium bromide can be given up to four times a day in isolation or in conjunction with these if rhinorrhea is a problem (Jones, 1999 c). histamines to maintain the control of symptoms. It is important to be aware of drug interactions and side effects. Long-term intramuscular steroids should be avoided, because when side effects do occur with their use it is difficult to control them. The role of leukotriene inhibitors remains under investigation and is not yet proven. Be aware that only 6% of patients with allergic rhinitis have hypertrophic or polypoidal mucosa, and that the majority of patients with nasal polyps do not have atopic disease. Patients with polyps and coexisting atopy usually respond well to the same treatment as those with rhinitis. Nasal douching can be helpful particularly in patients who are troubled by mucus and crusting, but it may also have a cleansing action that helps to remove aeroallergens and cytokines (Fig. 3.26a, b). For allergic rhinitis, the current Allergic Rhinitis and Its Impact on Asthma (ARIA) guidelines summarize the optimum medical treatment (Table 3.1). It is particularly important to check compliance with topical nasal steroids. Fig. 3.25 Instruction on compliance and the use of topical nasal steroids is important. Use the left hand for the right nostril to avoid always hitting the same area of the septum. Fig. 3.26 a A proprietary saline nasal spray is convenient for douching the nose to clear stagnant mucus and debris. b A jet of water directed at the middle meatus. Mild Intermittent (see below for conjunctivitis) Oral or intranasal H1 antihistamines. Intranasal decongestants (< 10 days and not repeat more than twice a month). Oral decongestants (not usually recommended in children). • Oral or intranasal H1 antihistamines. • Oral H1 antihistamines and decongestants. • Intramuscular injection of glucocorticoids is not usually recommended due to the possible occurrence of systemic side effects. • As in moderate/severe intermittent, a stepwise approach is proposed. The patient should be reassessed after 2-4 weeks. • If better, advised to continue. In perennial allergy, the dose may be reduced by half. 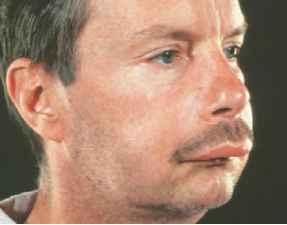 • If the patient has mild symptoms and is taking H1 anti-histamines or chromones: change to intranasal glu-cocorticoids. Moderate/Severe Persistent (see below for conjunctivitis) Intranasal glucocorticoids as first line treatment. If very blocked, a short course of oral glucocorticoids may be added. Alternatively, intranasal decongestants for less than 10 days. • Consider the reason for failure: Inadequate compliance, nasal obstruction preventing delivery, additional nasal pathology, heavy persistent (avoidable?) allergen exposure, wrong diagnosis? • Double dose of intranasal glucocorticoids if major symptom is blockage. • Add H1 antihistamines if major symptoms are sneezing, itching or rhinorrhea. • Ipratropium bromide if the major symptom is rhinor-rhea. • If the patient does improve, a step-down approach should be used, but a minimal duration should be at least 3 months or for the pollen season. • Referral to a specialist may be considered if the treatment is not fully effective or if after 3 months the treatment is unsuccessful. should be classified as having idiopathic rhinitis (Carney and Jones, 1996). The exception is the group with autonomic rhinitis, which has been described above. Acute rhinosinusitis is usually due to Haemophilus influenzae, Streptococcus pneumoniae, and Moraxella catarrhalis. Where no amoxicillin-resistant Haemo-philus exists in the local population, amoxicillin can be given along with a topical vasoconstrictor, such as 0.5% ephedrine for up to 5 days, along with a full week's course of amoxicillin and nasal douching. If Haemophilus resistant to amoxicillin is prevalent in the area, then an antibiotic such as amoxicillin with clavulanic acid is needed. In patients with chronic purulent rhinosinusitis, Staphylococcus and anaerobic organisms are more common, and it is important to give an antibiotic that will cover these. Antibiotics that cover the normal range of pathogens in chronic rhi-nosinusitis include amoxicillin with clavulanic acid, clindamycin, or metronidazole and a second- or third-generation cephalosporin. These antibiotics need to be given for up to 2 weeks to eradicate infection. Patients should be warned that their stool may become loose, and they should stop taking the antibiotics if they get diarrhea to avoid developing pseudomembranous colitis. Women should be warned that they may get vaginal thrush, for which an antifungal pessary may be necessary. Those on the contraceptive pill should take extra precautions over the following month. In unilateral purulent disease, atypical infections such as aspergillosis should be borne in mind. In general medicine, there is concern about giving steroids at the same time as antibiotics where there is purulent disease because of concern about immuno-suppression. This does not appear to be an issue in rhinology, and it is often helpful to give antibiotics and topical or even systemic steroids unless the patient is systemically unwell or they have aspergillosis or the complications of infective rhinosinusitis. Topical and systemic steroids are the mainstay of medical treatment in patients with chronic rhi-nosinusitis of all causes because the underlying mu-cosal pathology has a large inflammatory component and steroids reduce this. We advocate short but highdose courses of systemic steroids when their use is indicated. In purulent rhinosinusitis that does not respond to two or more courses of antibiotics, the possibility of Aspergillus infection should be investigated (Fig. 3.28a, b). The diagnosis of fungal disease centers on culture, skin-prick tests, CT scans, and titers of Aspergillus precipitins. Systemic antifungal treatment is indicated in fungal polyposis as it can dramatically reduce the amount of surgery needed. Invasive fungal disease requires long courses of itraconazole, unless the disease is of the acute fulminant type with blood vessel invasion, when intravenous amphotericin is needed. It is important to distinguish chronic expanding fungal disease that can erode bone and expand into neighboring areas from chronic invasive aspergillosis that leads not only to bone loss on CT but, most importantly, to penetration of soft tissues. Itraconazole has revolutionized the treatment of this condition. A 6- to 12-week course of itraconazole can be given before undertaking surgery. This will localize the disease and not only make surgery easier but allow more mucosa to be preserved. A 6-week postoperative course also reduces recurrence rates. It is important to monitor liver function and morning cortisol before and after one month of treatment with itraconazole, and liver function monthly thereafter. Fig. 3.28a, b Tenacious green discharge seen in aspergillosis. Polyps are not in themselves a diagnosis but a sign of inflamed mucosa, and patients who fall into this clinical category are usually managed in the same way as patients with chronic rhinosinusitis. 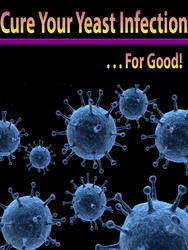 Treat any bacterial infection if there are any purulent secretions (Fig. 3.29 a, b). Prescribe topical nasal steroids; if these fail, oral steroids should be tried unless there are contraindications. 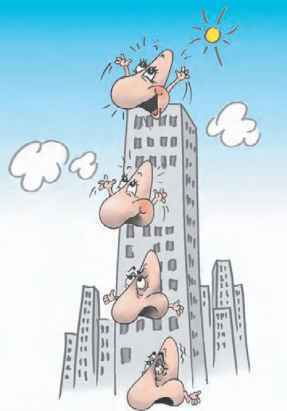 In patients with gross polyposis, we often give oral steroids initially, not only to help the patient immediately but also to see "how far up the skyscraper they can go" (see Fig. 3.30). Systemic steroids are normally reserved for patients with rhinosinusitis and polyposis, although they can help those patients with allergic rhinitis who are resistant to other forms of treatment. We give only short courses of oral steroids so as to minimize side effects. Fig. 3.29a, b A patient with recurrent polyposis after previous surgery who had a coexisting infection and responded to antibacterial treatment and topical nasal steroids. Fig 3.30 Skyscraper illustrating levels of treatment success. We use this illustration when discussing treatment options with patients. The reason for using oral steroids in nasal polyposis is to reverse mucosal changes when other measures have failed (Fig. 3.31a, b). Normally, topical nasal steroids, along with allergen avoidance and antihistamines, will control symptoms. However, a small group does have symptoms such as mucosal edema that persist even when they have complied with treatment for over 8 weeks. This is more common in nonal-lergic patients, particularly those with late-onset asthma. Under these circumstances, oral steroids may reverse the mucosal edema, but the degree of success varies, as does the duration of the improvement. • To determine the extent of the "olfactory reserve"
In the majority of patients, the effect of a trial of oral steroids lasts only a few weeks and, in spite of maintenance treatment with topical steroids, their symptoms return. In these patients, surgery may help if obstruction or hyposmia are their main symptoms, although it is vital that the patient is aware that surgery is not a "cure" for their mucosal disease. If surgery is planned, a further course of preoperative steroids will reduce bleeding and the amount of surgery required. By allowing more mucosa to be preserved, particularly in the olfactory cleft, adhesions will be minimized and postoperative recovery will be improved as ciliary recovery will be better. A dose of 40-70 mg (depending on body mass) of prednisolone with breakfast for 4-7 days is recommended as a means of maximizing the anti-inflammatory component of medical treatment of nasal pol-yposis in patients with marked allergic rhinitis or non-allergic rhinitis when other treatments have failed or in the immediate preoperative period. Fig. 3.31 a, b CT scans showing the effect of a course of oral steroids in polyposis. a Before b afterwards. ulcers, osteoporosis, etc.). Patients should be warned of the potential side effects: patients sometimes become excited or very active, some become depressed; the steroids should be stopped if they cause indigestion or stomach pain. The possibility of rare complications, such as ischemia of the femoral head or vertebral collapse, should be mentioned (Fig. 3.32). It is important not only to maximize preoperative medical treatment in order to see how much the patient's disease can be reversed by medical means. It is worth continuing this treatment right up to the time of their potential surgery. This makes the surgery easier and reduces peroperative bleeding, which helps visibility and reduces the risk of peroperative complications (Fig. 3.33a, b). It reduces the chance of adhesions forming and helps the surgeon to preserve mucosa. This is particularly important in the olfactory area, where it is vital to preserve as much olfactory mucosa as possible (Fig. 3.34a, b). Having failed to fully control the patient's disease with medical treatment does not mean that you should give it up at the point where you list them for surgery. Fig. 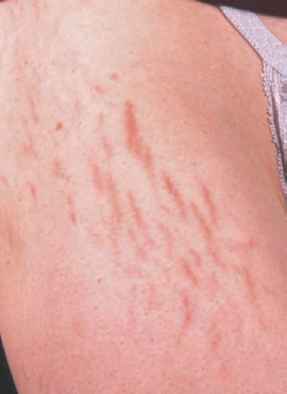 3.32 Striae of the thigh after oral steroids and excessive betamethasone nose drops. that their olfactory mucosa has already been removed, so that it is then advisable to be cautious about saying whether further surgery will help their sense of smell. Fig. 3.33 Nasal polyps a before and b after oral steroids, just prior to surgery. Fig. 3.34 Polyps in the olfactory cleft a before and b after surgery. The polyps were not removed medial to the middle turbinate. They have responded to the cleft being opened and topical nasal steroids. Fig. 3.35 It is vital to explain to the patient what can realistically be achieved. amount of mucosal swelling, as long as there are no contraindications (Fig.3.36a-d). This will enable the surgeon to preserve as much olfactory mucosa as possible. A full-thickness loss of mucosa results in healing by secondary intention and crusting that lasts up to one year before mucosa with cilia regenerates (Fig. 3.37). If the mucosa is relatively healthy at the time, it is easier to preserve the mucosa and remove the bone that will allow the sinuses to be opened, albeit with the mucosa that overlies these segments of bone. The purpose of surgery is not to denude the bone of mucosa. Exposed bone can cause a severe, nasty, dull, nagging ache due to osteitis (akin to a "dry socket" after a dental extraction) with pain lasting 10 days—another reason for preserving mucosa. It takes up to 3 months for cilia to return to partially denuded mucosa, and the patient will have to continue douching over this period to minimize crusting and mucus stagnation. Fig. 3.36a, b The effect of preoperative oral steroids. With less inflamed polyps the bleeding and the potential for compli cations is reduced because of improved visibility. c, d A different case before and after oral steroids. It is wise not to embark on surgery when a patient has developed, or has just had, an upper respiratory tract infection, as the amount of bleeding will be increased and the risk of developing a chest infection will be increased as well. In summary, we would advise operating on patients when their nasal mucosa is as healthy as it is possible to get it by medical means. • Any surgeon can operate; a good surgeon operates on the right patient at the right time. • Only operate when it is likely to result in substantial benefit to the patient. Fig. 3.37 Crusting over an area of exposed bone (arrow) where the full thickness of mucosa has been lost. Is the olfactory epithelium visible from the nostril? 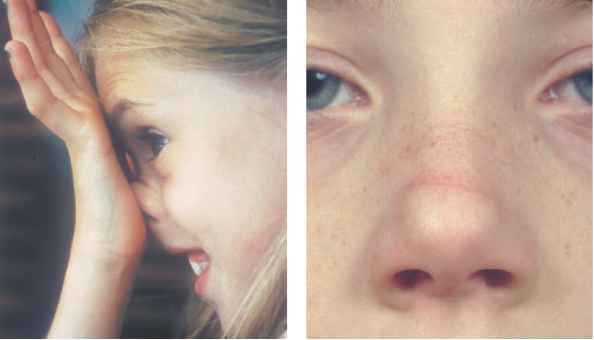 What is enlarged nasal turbinates? How to treat Chronic turbinate enlargement? How to remove mucus in throat home? How to treat swollen painful turbinates for infection? Is olfacotry mucosa yellow in olour? How to clear mucus from throat? Can a damaged turbinate cause excess mucus? What colour is the hiv discharge? How does douching look like? What is douching and it effects? Can dry skin and dry mucus in nose form a 2nd skin? What is the the treatment of the green discharge?